You can adapt the Sonic range to a variety of finishes. The MFC used to make the desktop and modesty panel is both easy to keep clean and also resistant to the effects of everyday office use. The MFC is available in 7 different finishes to suit whatever surrounding you might want to furnish. The Sonic also has customisable panels on the legs which are available in 3 different colours. These panels hide any cables you may wish to run up the leg. This in-built cable management is a really good design feature, as it allows you to keep your office looking tidy and free from clutter. This furniture is held in stock on the continent which means you can have top quality furniture with a continental feel delivered in 7 - 10 working days. With all the different colour combinations available you can achieve some really striking contrasting finishes. 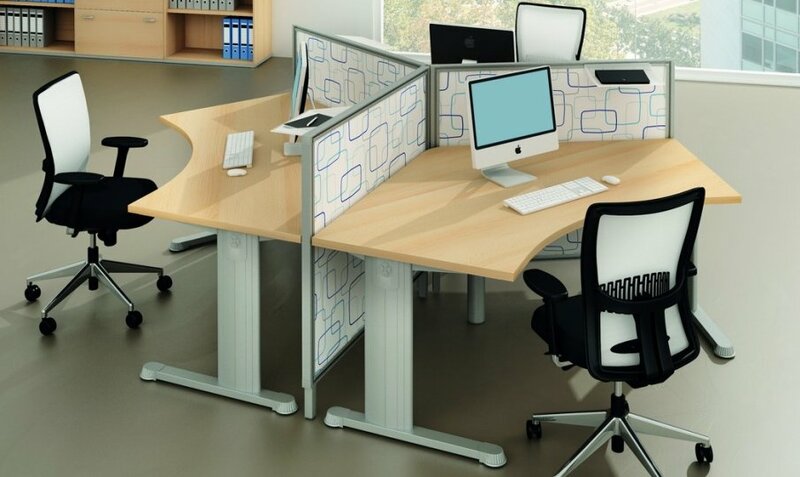 The desking in this range is delivered flat packed for easy self-assembly, however if you would like information or pricing on our professional and nation-wide install service please don't hesitate to contact our sales team.